Tory councillors have no Plan B for Kensington when the property bubble bursts. But Labour do. Kensington and Chelsea is a borough full of surprises, and I don’t mean the range of delis and flower shops. My ward in the north of the borough, where Portobello Market stops in sight of Trellick Tower, is the joint poorest ward in London on extent measure. This means that every part of the ward is equally poor, including around 50 per cent of its children. Other wards in North Kensington also have poor estates, of say 40-45 per cent poverty, but in Golborne it is the most widespread. This is a huge surprise to many people, who might wander up Portobello Market to find the hot food stalls and Moroccan, Portuguese, Indian and Lebanese restaurants on Golborne Road. But even if you wander away from the market, you would never guess how poor it is. I teach a bit at the Bartlett School of Architecture and Planning, and there’s a trick I play on the students who come on a Friday walkabout. ‘There’s an estate round here’ I tell them, ‘that is in the poorest 5 per cent in the entire country’. Eyes like saucers, they ask to see it, expecting gangs of hoodlums and burnt-out cars. ‘Gotcha, it’s right here’ I tell them. They look around the wonderfully swept and pruned and cleaned-up award-winning 1970s Swinbrook Estate, utterly confused. The council is good at sanitising poverty. But it is all a façade, part of stage-set Kensington. Behind closed doors mothers are economising on food and heating to pay the rent; there is malnutrition, rickets, and early death from preventable diseases. There is a gap of 18 years life expectancy between the south and the north of the borough – greater if you take in the whole range of 89 for a British woman in Chelsea, and 62 for a Moroccan man in North Kensington. 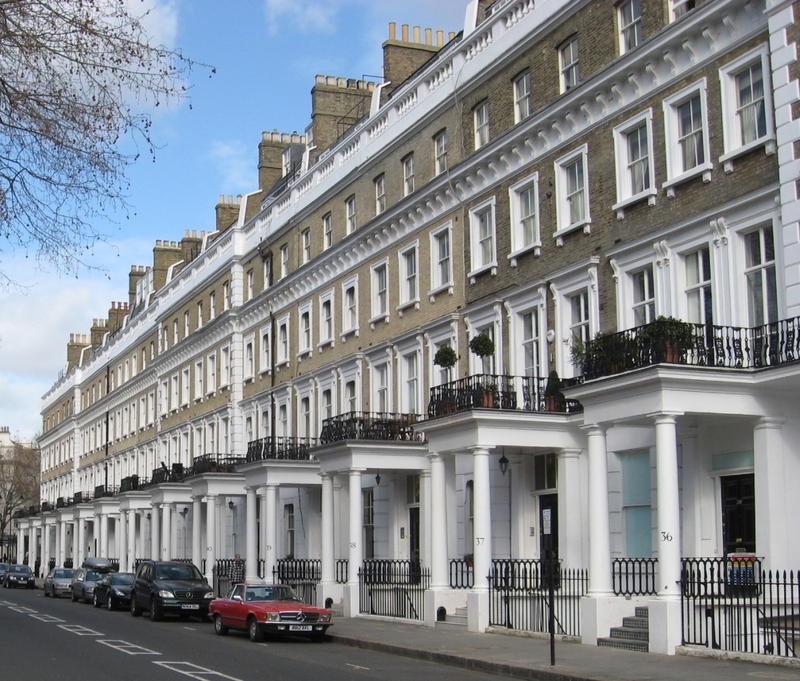 Kensington and Chelsea is a borough of extremes, and inequality is growing. I’ve lived here most of my life, and while Paulton’s Square where I was born now houses the rich, it is the mega and mega-super rich who are destroying the borough: the plutocrats, the Far Eastern oil magnates, the ‘buy to leave’ foreign investors, some of whom, if we are to believe Simon Jenkins, are laundering dirty money. The council does little, caught between need and greed. The council’s complicity in overheating property prices is so blatant they don’t even bother to deny it. With £170m in Reserves they believe they are untouchable. Having trawled through the 2011 census figures for anything interesting, I was genuinely appalled to discover that somewhere in Kensington and Chelsea was an estate even poorer than Swinbrook. After a hunt, I found it. Henry Dickens Court, which I had leafleted several times during a by-election, is even better maintained than Swinbrook and I’m told is used by the council to show off to visiting dignitaries and national politicians to demonstrate how well they care for their ressies. So here it is. Henry Dickens Court, an estate of cc500 homes, right next to the beautifully preened and utterly Tory Norland Conservation Area, suffers from 58% child poverty. Some 26% of its residents have no formal qualifications whatever; health is appalling; work is manual, if any. To counter this the council encourages ‘entrepreneurialism’, and if you don’t know what that means, it’s making cupcakes and selling them on the market. So actually the council isn’t rich at all. It is simply not spending where money is most needed, and is instead chucking money at the near £1m/yr loss-making Opera Holland Park, nearly as much again for the loss-making Leighton House, arts strategies, and last year, the completion of the frankly disgraceful expense of £23m of Council taxpayers’ money on repaving Exhibition Road. Did South Kensington need regenerating? I had no idea! This is the key of course. Kensington and Chelsea council has no idea what regeneration is. Regeneration is translated as pimping unsightly areas to make poverty palatable, tidying up ‘grot spots’, planting odd corners and sticking substandard corporate art and up-lighting on flyovers. And their plan for actual people, for the poor for whom they have statutory duties? Move them on. This can’t last. The ‘Royal’ borough is blessed with old-fashioned Tories who, despite their dodgy politics, despise the self-serving faction on the council. Then we have nine hard-working Labour councillors who are watching their every move. And of course our wonderful residents, loyal and supportive, waiting and working for a better chance at life. At some point, the property bubble will burst. They have no Plan B for stage-set Kensington. But we do. ‘Keep slashing!’ Love those turn of phrases. And I’m not surprised Newsbot’s freelance as it suits his ‘loose cannon’ status superbly. Anyway, unis aren’t indeed there to teach basic skills. Kids should have had those enough at school. And the straight fact is, as mentioned, there was too much of a push to get the kids in the universities. So you had a uni surplus with deficiencies in trade schemes. And it’s nice to know people in John Lewis enjoy their rewards. Though the organisation is still essentially ‘private ownership of the means of production’.And that still doesn’t mean mutualists wouldn’t wreck the economy by issuing ‘labour vouchers’ instead of money (which Jews also got in the Nazi ghettos). Or ramping up wage taxes by up to 50%. Yes, keep on talking about the phrases which you devote yourself to. Slash. slash, slash. Never enough workers blood for you to drink, is there? And you’re trying to shoot people from cannons now? Keep claiming that we need a lower-skill economy, when we need a higher-skill one. Moreover, you don’t understand the basis of mutualism, which dosn’t call for privatising the means of production, and never has. And no, your Labour Vouchers are yours. Of course you want to issue them to Jews and other “undesirables” in your world. And wrecked, right. Say, how are the Nordics doing? That’s right, better than the UK. Keep up the triple-dip denial! Again, Newsbot doesn’t need to take my word for it on the vouchers, when his own ‘slasher cannon’ idol Proudhon himself called for them. And to think there are fellow left wingers today opposed to state benefits being paid in vouchers! The squabbles continue. Especially as if mutualist ideas were any real good then Labour would have stolen them years ago. And I never said mutualism called for privitasation. Just that John Lewis is still a private concern. And of course mutualists threaten people with higher taxes. Unlike David Cameron, who wisely plans tax cuts (at LAST) for hard pressed families. And PROPER tax cuts, which don’t get cancelled out by even more borrowing. Cameron is yours, as you admit. You’re the one is against cash for the poor. And keep saying that everyone is a thief like you. And of course you think raising the poverty premium on families and raising tax by removing services they use, costing them more, is a “proper” tax cut. What you mean is lowering the tax which your rich pay. Again. You need that sixth house, after all. Cameron’s tax cuts will help young first time buyers by encouraging mortgage lending and house building. And Newsbot knows there’s a housing shortage. A council tax cut would have gone well too, not to mention a huge reduction in petrol tax, but first things first. And when taxes are PROPERLY cut, it’s the People who benefit the best. Cameron’s “tax cuts” will help BTL owners and a few rich kids to get discounted properties. House building is still falling like a stone. And of course you think cutting services for the elderly woild have done fine. No to mention ending work on roads. And right, you only consider your ultra-rich as People, gotta bet those PROPER throat-slits in for the poor! Keep on calling for ever-lower taxation levels, when they’re already very low, historically. Cable wants cuts in elderly things, like taxing bus passes, as that letter stated. Here it is again. And there’s a recession on, something which usually affects house building. And EVERYONE can have their own front door, as Cameron’s also encourages people to buy their own council houses, if they can or want. Higher rate taxpayers might have to pay tax on universal benefits? How terrible. It’s cheaper and less intrusive than the Tories plans! PS, if you’re using spam images, I don’t see them, as I use the dashboard. Keep fighting your rich paying tax. An artificially-forced triple-dip, yes, caused by the death-cycle economics. But house building help up in other recessions far better than it is today. And that’s right, you keep talking up selling off state assets at firesale prices …denying many people shelter at all. This is about taking AWAY shelter from the poor. ‘Death-cycle economics.’ That silly phrase makes it sound like Eval Knieval worked at Number 11. Building more houses, including those for councils, ensures more people get shelter. And can help guarantee they keep them if they can buy at affordable prices. After all, it was Newsbot himself moaning that people were being priced out by ‘the rich’. Higher earners still pay 45% tax, so Newsbot’s hardly got cause to moan. And yes, that why you’re making sure that less houses are built. And that the government subsidises housing for the kids of the rich. And indeed, I have and you’re pricing people out even more. That’s only on salaries, which are a rapidly falling % of GDP. Capital gains pays 28% tax, for instance, and allows accounting tricks to hide most of the profit. Financial forces influence the houses. Governments always want more houses, which benefit both economies and people. And if you’re after subsidies, most people now feel they have recourse to some kind of supplementary benefit themselves. It’s got nothing to do with ‘rich’, not when you just use that for an attack. ‘Only’ on salaries. And the huge sums of money raked in on capital gains tax ought to be opposed by mutualists because that means more ‘unearned’ money for the government and its projects! Yes, that’s right only. Keep talking about the far lower taxation rates on unearned income, and how it’s pushing salaries out. Keep on praising *lower* taxation on unearned cash, what you get by sitting on your backside! Thatcher ended council house building, after which building rates didn’t rise. Even in the boom. The evidence shows you’re wrong. And that’s why you oppose council housing, right. And keep claiming “everyone” is your rich, fat off your unearned income and corperate welfare. The poor need benefits to keep than alive because of your looting. Of course it’s got everything to do with the rich. You’re making excuses about your food stealing. You know, the Nazis said much the same thing……. Be careful not to be like certain people. Yes, I’m sure you agree with the Nazis again. Redefine work to mean “what my rich do”, and you’re set. Proper taxation on unearned income doesn’t equate to abolishing anything, of course. It’s your typical lying, histrionic shilling for your American paymasters. Proper taxation means a Newsbot-backed ‘Robin Hood’ frenzy, which would hardly look good for anyone. It’s politics based on emotion and the public saw through that years ago – Margaret Thatcher would never have been PM, nor Tony Blair otherwise. Like I care about the frenzy which your right would put in the papers. It is indeed blocking fair taxation with emotion, and it’s something which the public are getting increasing impatient with Murdock and your Morlocks about. Ah,now the comedy’s coming back, as we discussed in the Cable thread. Murdock and Morlocks, brilliant. And fair taxation is LOW taxation!And the People ALWAYS love low taxes! Yes, keep claiming that starving people is loved. You mean your rich keep demanding less and less tax, never mind the consequences. That’s “fair” to only you, your leeching off wages to capital is unsustainable. And no, the comedy is in your head. You’re funny. Poor Newsbot. He can’t see his own gift. Tragic. I can do comedy. I’m not doing it now. You mean you’re even FUNNIER when you actually are in-character? You must be ACE at dinner parties. You’re the funny one here.